Our Preschool Curriculum is recognized throughout the country as being "perfect for the youngest dance students," offering a fun and exciting time for young dancers allowing them to sparkle and shine. Reaching into students' imagination, these classes concentrate on balance, agility, timing, and creativity. This class has been specifically designed for 2.5-3 year olds. Our specially train teachers will nurture your child's confidence through movement exercises, games, stories, and other activities. Your child will be introduced to the joy of creative movement in a fun, musical setting. 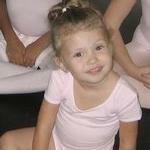 Your tiny dancer will learn coordination, motor skills, and the opportunity to creatively express themselves and shine. A follow-up to the Creative Movement Class for students 3-4 years old, this 45 minute class introduces the use of tap shoes and builds on the Sparkle and Shine Creative Movement Curriculum. Your child will twinkle and shine in this class focusing on creativity, freedom and expression in movement, and of course a love for dance. This class for ages 4-5 years olds (Level One) and 5-6 year olds (Level Two), includes concepts that are found in an older child’s dance class. Each class includes a half hour of Ballet and a half hour of Tap. These will prepare the students for when they graduate to Ballet, Tap, or Jazz/Hip-Hop program. Creative or free components are also included within each class. Watch your child shoot for the stars in this class that focuses on creativity, freedom and expression in movement, and of course a love for dance. 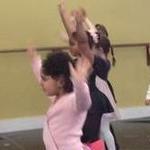 The class includes concepts that are found in an older child’s dance class. Each class includes a half hour of Ballet and a half hour of Hip-Hop. These will prepare the students for when they graduate to Ballet, Tap, or Jazz/Hip-Hop program. Creative or free components are also included within each class. No Girls allowed! This boys only class fosters creativity, freedom and expression in movement. The students learn motor skills and rhythm in this commercialized, very popular style of dance with urban influences, as seen in music videos and TV. This class is for 4-6 year old students. Your child will learn basic Tumbling skills in a fun and creative way. Our specialty trained teachers will guide them to be the Star that they are. As students get older they can choose from multiple dance styles. 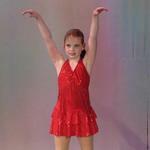 For ages 7-8, dancers can take ballet, tap, jazz/hip-hop and/or acro. 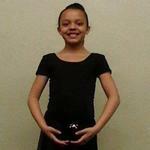 Starting at age 9 or 10, students can add Contemporary, Jazz, and Hip-Hop. One of the oldest forms of dance, classical ballet technique emphasizes line, posture, control, balance, grace, poise, and discipline while utilizing the French terminology. This technique is taught through barre, center work and across the floor movements. This class is highly recommended for all students to ensure proper training free from injury, as it is the essential basic foundation to all forms of dance! Class enrollment is not determined by age, but by student’s level. This is an extension of ballet technique where female dancers use pointe shoes. 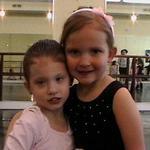 This class is offered to intermediate and advanced ballet trained dancers. You must have a strong ballet background to be eligible to attend. The dancer must be enrolled in at least 2 ballet technique classes with teachers approval and doctors note. Jazz technique combines rhythmic forms of movements using isolations and the entire body. This class starts with a warm-up exercise focusing on flexibility, strength, and coordination to music. The rest of the class is a combination of across the floor exercises and high energy movements creating challenging dance combinations. 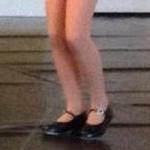 A form of dance in which feet create rhythmic patterns and sounds. This form of dance develops a strong sense of rhythm, coordination and agility. A commercialized, very popular style of dance with urban influences, as seen in music videos, and TV. It is a more relaxed class atmosphere where dancers experience a fun workout. Lyrical dance combines the many technical elements of classical ballet with the freedom and airier aspects of jazz, contemporary and modern dance. Most lyrical dance pieces are performed to music with lyrics and the lyrics of the song are what the choreography of the dance is based on. The songs chosen usually express very strong emotions, like love, joy and anger. 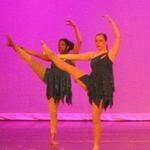 Lyrical dance is very graceful with moves flowing smoothly and seamlessly. Jumps are high and turns are very fluid. Lyrical is one of the most expressive forms of dance to watch.